Finally it is released out into the wild. I will not spend a lot of words on it because this one is a truck you will have to experience for yourself. If you like my mods, consider a donation. Thanks SID. In legacy and latest_stable flavour. Latest_stable also features a trailer and seperate CT Kit pack. Fantastic mod! Looks great and handles pretty much like I feel a Land Rover in Spin Tires ought to. It’s a little sluggish in automatic for some reason. Seems the driver doesn’t like changing up, but is still great to drive. 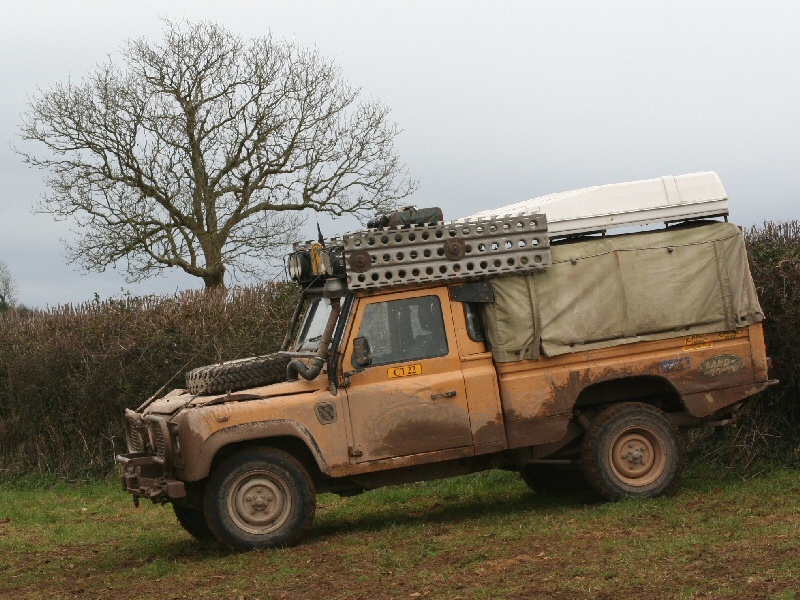 Will be using this mod a lot, it works really well alongside the Land Rover SIII Camel mod and is (correctly) slightly better in the mud and up steep climbs. I much prefer it’s physics and ‘weight’ to the SIII mod, however visually it’s not quite as accurate, and like the SIII, it’s still perhaps a little too awesome at plugging through the mud. It would be great to have a more standard sized wheel/tire option (like the default SIII mod wheels/tyres), the diff’s are oblong for some reason instead of round, and the tubing on the bull-bar is a touch too wide in diameter. 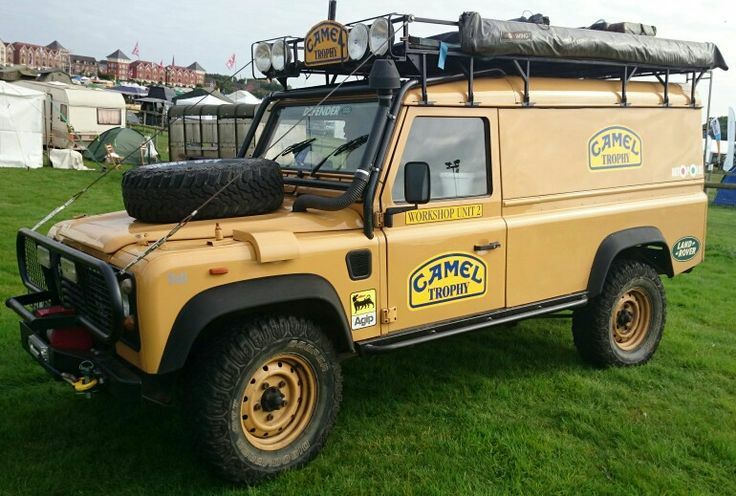 Also, it seems to have slightly protruding sills/side-steps which I don’t think most camel 110’s had. Overall detail is great though, especially stuff like the wires for deflecting branches, working spot-lights, roof-rack etc. Just a question is this thing not a bit slow I like it and all but it is slow write? Yeah, in automatic it seems to stay in first gear for ages even on asphalt. Once it changes up it’s generally fine. 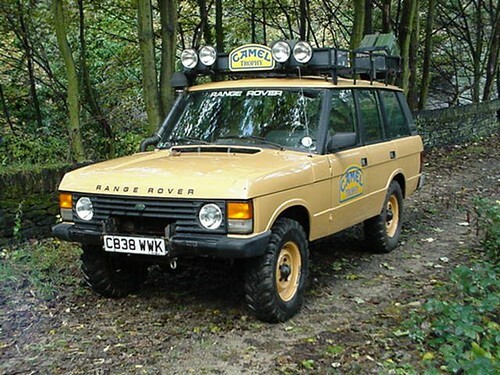 Although it also fit’s Land Rover’s former “Go Anywhere” tagline, and it looks great (accept the wide tires). Can someone PLEASE make a Toyota HJ47 Landcruiser Troopcarrier just like this one? It would be greatly appreciated.